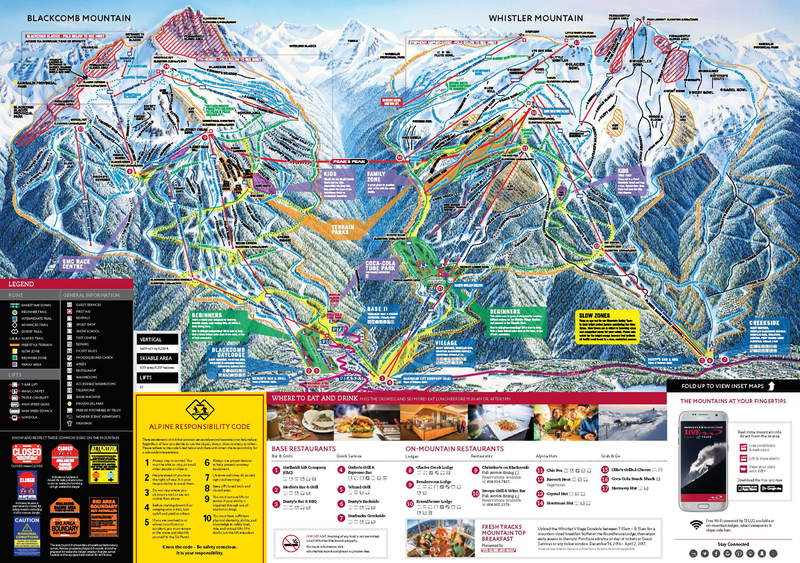 Whistler Blackcomb is North America’s largest ski resort, encompassing 3,306 hectares over two separate mountains. 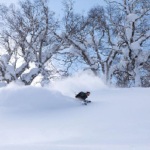 You have over 200 runs to choose from, from the mellow beginner slopes to gladed tree runs and advanced steeps, cliffs and chutes. There are also 5 terrain parks and a half pipe to play on. Whistler Blackcomb has some of the most varied and advanced terrain in the world, making it the home of many professional athletes. The resort’s village is also a sight to behold with winding pathways and an abundance of restaurants, bars, clubs and shops. It even has a cinema and its own post office. Half Pipe Size Lengh: 450 feet, radius 17 feet, wall height 16.5 feet, width lip to lip 64 feet, bottom 33 feet wide. On the Whistler side there’s a dedicated beginner area around Olympic Chair with two carpets and a chairlift. From there you can head up the gondola and do runs around Emerald Express for some cruisy fun. Intermediates will enjoy the blue runs from the Big Red Express Chair while advanced and expert riders usually head to Peak Express or Harmony Express chairs for bowls, chutes and cliffs. 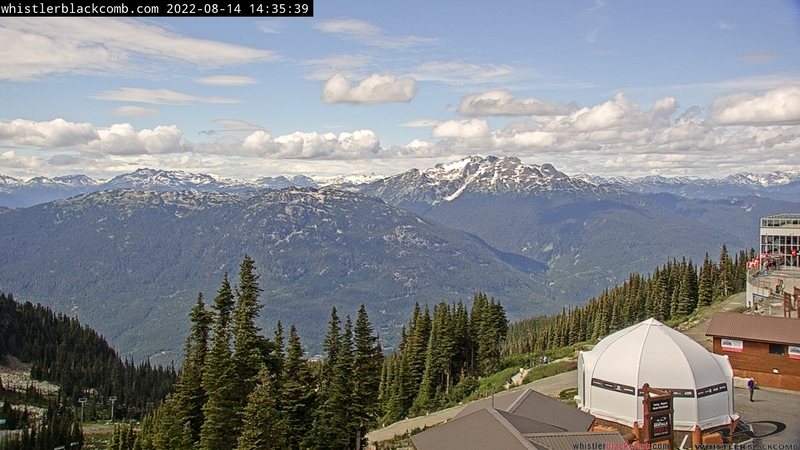 On the Blackcomb side you can start out at the Magic Chair and carpets. Blackcomb has less beginner terrain than Whistler but more intermediate terrain with a plenitude of blue runs accessible from nearly every chairlift. 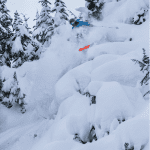 Advanced riders will love the Glacier and 7th Heaven areas for stunning views and easily accessible sidecountry. Most people come to Whistler Blackcomb via the Sea-to-Sky Highway from Vancouver, which takes less than two hours in good weather. You can opt to drive, hire a car or take a bus. 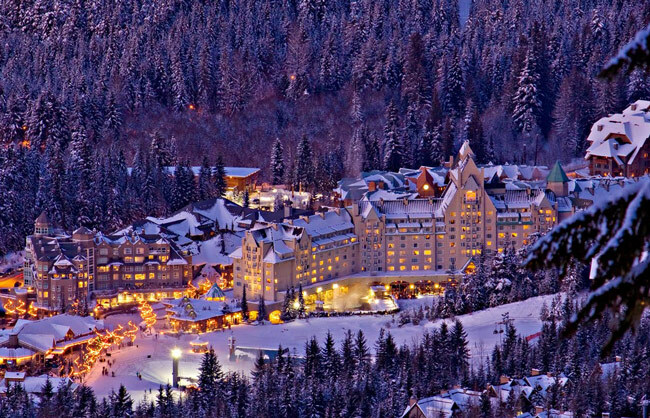 Pacific Coach Lines, Snowbus, Greyhound, Perimeter Transportation and Whistler Shuttle all go between Vancouver and the resort. Or you could choose a more unique option like a limo, plane or helicopter transfer. 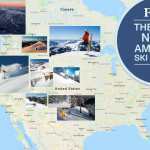 Choose between giant chateaus, hotels, condominiums, self-contained apartments and private ski lodges. 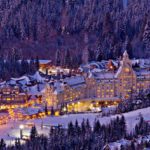 The Fairmont Chateau Whistler is famous for its luxury accommodation and perfect ski-in ski-out location at the foot of Blackcomb. 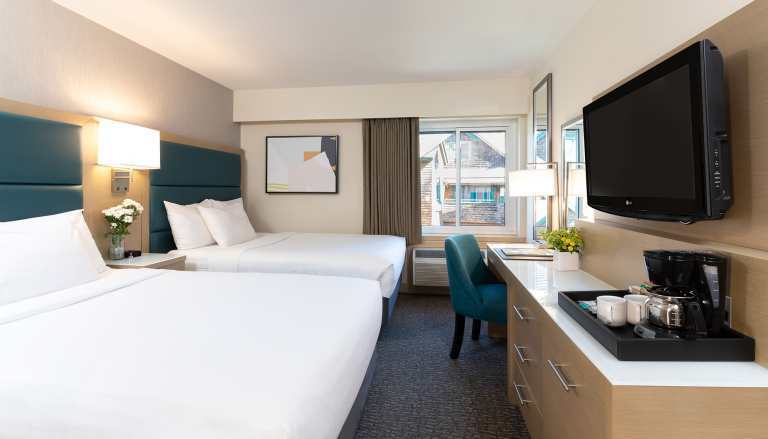 The Carleton Lodge is arguably the best located hotel in the village as it is directly in front of both the Whistler and Blackcomb gondolas, the Whistler Kids ski school, and sits above the Carleton bar. 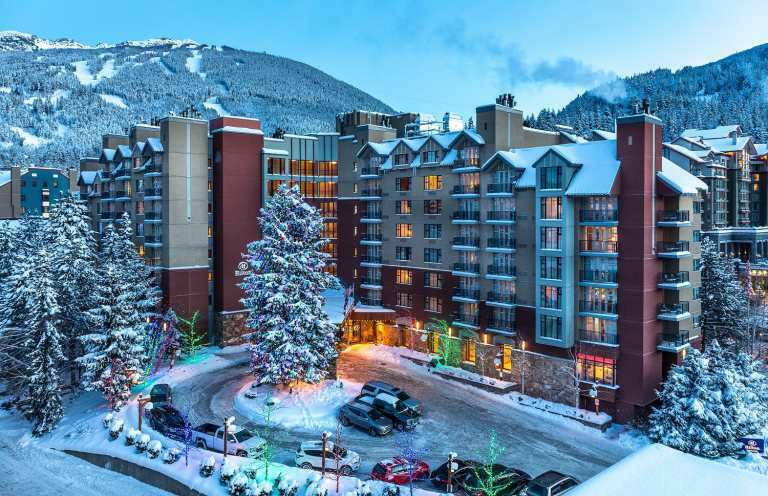 Whistler’s massive village caters to all tastes from five-star dining at Araxi to funky Japanese at Harajuku and comfy Mexican feasts at The Mexican Corner Restaurant. It’s also the best place to grab a snack after getting down from the hill, with options like classic poutine from Zogs Dogs Inc or a sweet treat from Rocky Mountain Chocolate Factory. On the hill, the Roundhouse Lodge on Whistler and the Rendezvous Lodge on Blackcomb offer the most variety but the waffles at Crystal Hut are a must-do Whistler experience. Nowhere does apres quite like Whistler. The village is packed with bars, clubs, pubs and fireside drinking holes. Top picks include the GLC above the main Whistler gondola for stunning views with a chic restaurant vibe, and Merlin’s on Blackcomb side for laidback cabin vibes.